Now, I titled this article as a discussion rather than my usual “Corner” schtick because this is different. Rather than just give you news or an opinion, I’m going to present you with an idea(That isn’t mine, just so we’re clear. ), give you details, and then discuss it in the comments below. Good? Okay. So I was watching a new video from Nintendo Prime and in it they reference another video from “The Bit Block,” a Youtube channel that seems committed to Nintendo. And in both of these videos it was suggested that perhaps the virtual console will work differently on Switch than it has on any of the devices that have released since the GameCube and the GameBoy Advance. And by different we’re talking about a Netflix-like service separate from the normal Nintendo Network online service. So you pay $25/yr for the online service which lets you play your games online and purchase things like DLC and themes, but virtual console isn’t included in that $25 package. It’s a separate, for arguments sake, $10 - $20/month package, where you pay the monthly fee and then you get access to every game on the virtual console. Just download the games to your Switch and play them, no streaming, and they’re all yours until you stop paying for the service. NES, SNES, N64, GameCube, Wii, heck maybe even GameBoy games will all be there. Not every game will be available when the service goes live, more will be added as time goes on, and some GameCube games will likely be held off until Nintendo can release Joy-Cons with analog triggers if they don’t have those available when the service goes live. I realize that some people were already not happy about paying for the online service now, especially when Nintendo’s online infrastructure hasn’t exactly been the best, so I definitely wouldn’t expect an additional, monthly fee to make those same people happy, and of course others would prefer it was just included with the base online package, but just think about it. 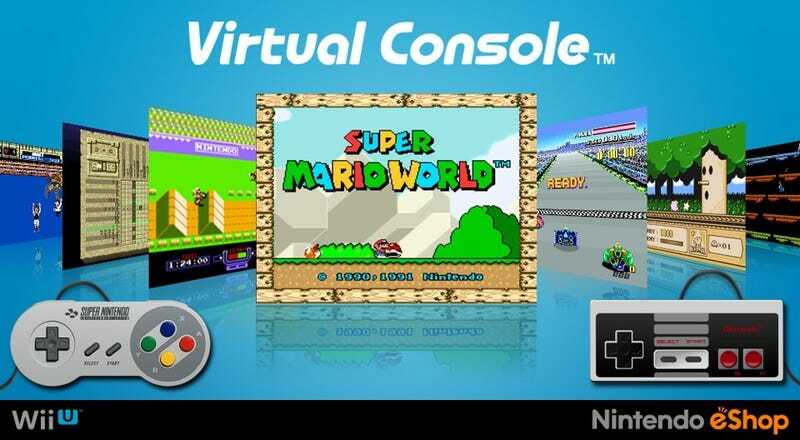 You pay for the base online service if you want it, and you get to try out improved virtual console games each month. And then you pay an optional fee to get access to at least 4 or 5 entire console game libraries that you would have had to otherwise pay $10 each normally. That wouldn’t sound like a bad deal to me, but I understand that it could be a problem for others. But I wanna know what you all think of the idea, and obviously credit for it goes to The Bit Block for the idea and Nintendo Prime for echoing it so that I could find out about it.